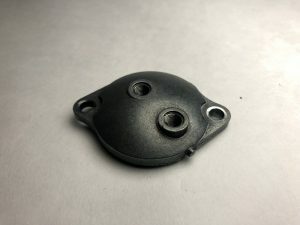 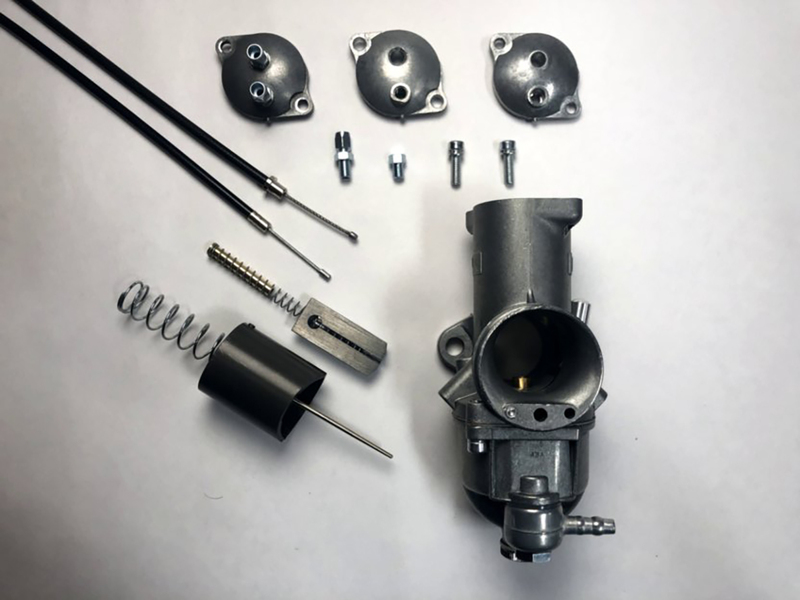 Fitting Throttle Cables to Amal Concentric | JRC Engineering, Inc.
Amal carbs come with a wide variety of spares to make sure your bike goes together with no need for modifying parts. 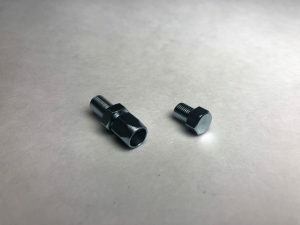 For British motorcycles there is multitude options for cable fitting, but it’s important to get the right fit. 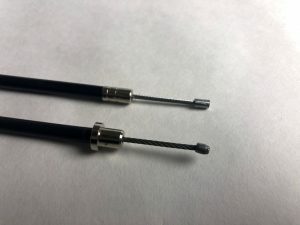 Throttle cable come in all shapes and sizes, thankfully we have enough spares to make any setup fit. 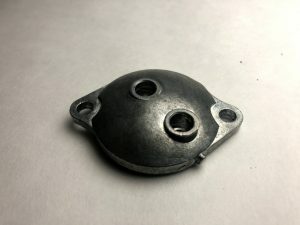 Start out by removing the cable from the throttle to give yourself more working length. 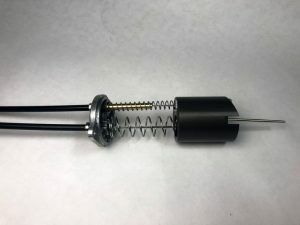 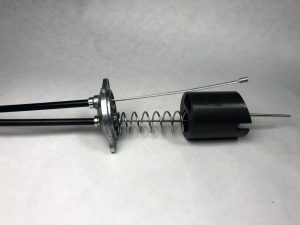 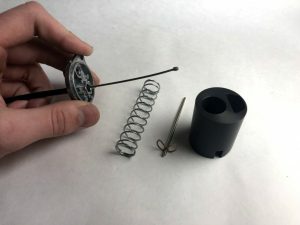 Fig 2: Install the throttle spring and use the slide to compress the spring. 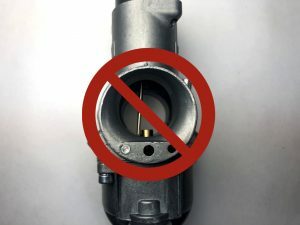 Fig 3 let the bullet end pass through the needle hole and drop into the recess made for the cable. 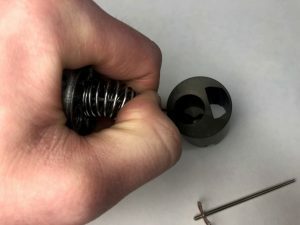 Fig 4 Compress the throttle spring and hang it over the side of the slide scene in Fig 5, In Fig 6 drop the needle into the hole, make sure the needle clip is fully seated in the hole before dropping the throttle spring in. 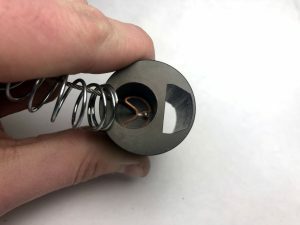 In Fig 9 after installing spring and guide tube run the cable through the hole and into the recess at the bottom of the choke. 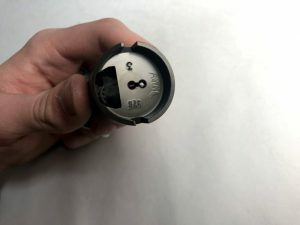 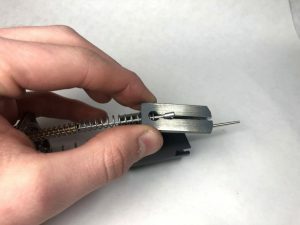 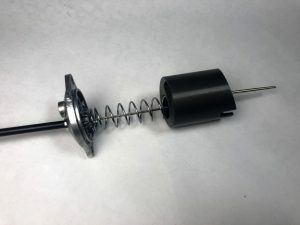 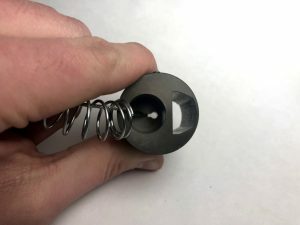 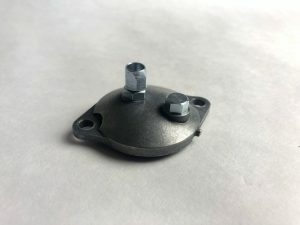 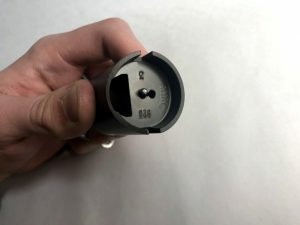 When installing the slide into the carb body be sure to line up the needle, if not seated correctly when the slide is installed the needle clip can get dislodged and will need to be reset in place.